When working with people from different disciplines, it is perhaps obvious that everyone should be able to grasp the basic concepts and language that the others use. If they cannot, then such conversations become at best unfruitful and at worst misleading. So often when designers meet clients and users of buildings, they present information in such a way that is inaccessible to their audience. Or, they ask questions in such a way that the people cannot respond easily. Therefore the solution must be to establish a common language that enables everyone to discuss issues in such a way that they understand each other. Here is one example of a project to do this. Over the last twelve months I have had the pleasure of mentoring a group of young practitioners (teachers and architects) exploring contemporary learning environments and how to enable those who work in them to engage in meaningful conversations with those who design them. 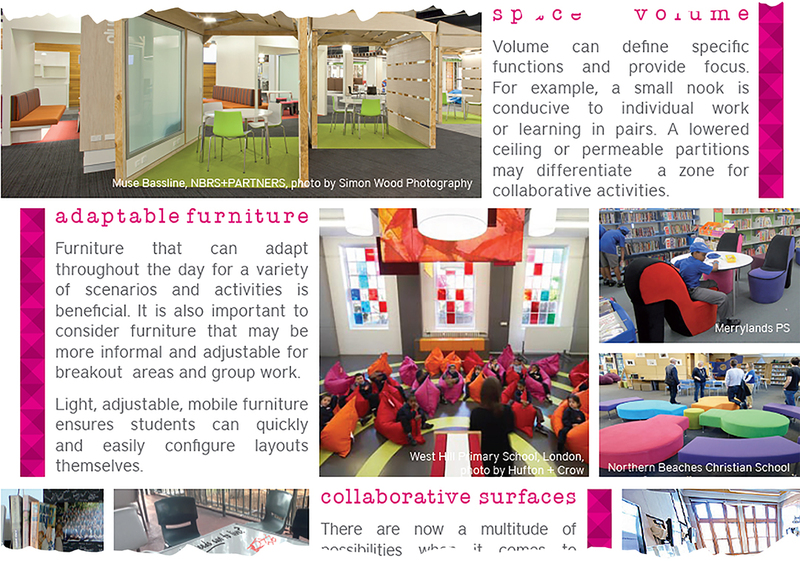 This Australian group based in Sydney looked at how to create a common vocabulary for education and spatial concepts that underpins these learning environments. 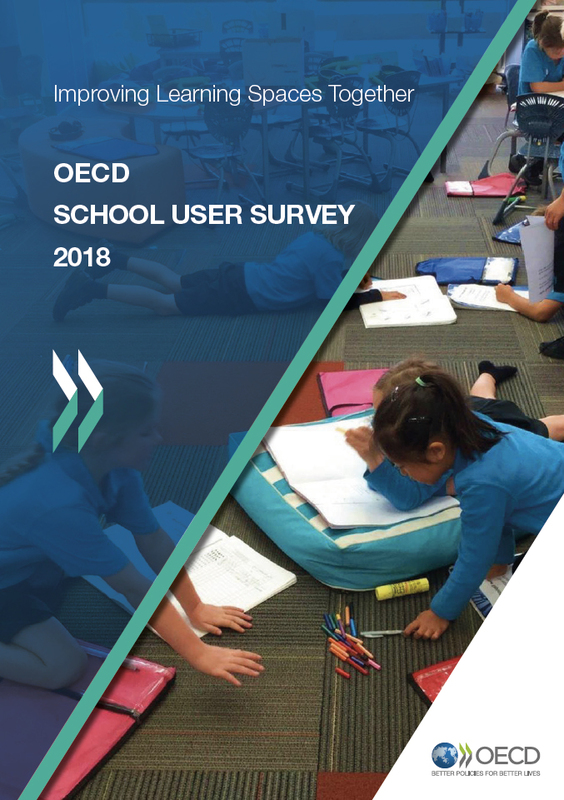 They presented their findings (a report Engage, Envision, Enrich) at the CEFPI 2014 Australasia conference in Adelaide last week and have produced a web-based toolkit to enable people to explore some of the concepts. The team looked at different modes of learning from teamwork and collaboration, project-based, learning by presentation to personalised learning, and explored the different settings used for each. 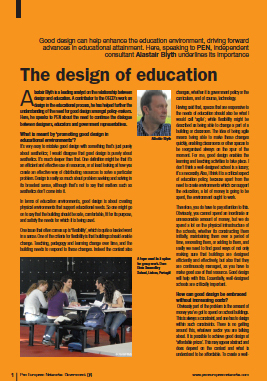 The report summarises its findings and the toolkit offers schools, teachers and students the opportunity to explore learning settings appropriate to their needs and convey their ideas to designers while at the same time designers can develop a basic understanding of what the different education concepts mean. Stakeholder engagement is pointless if participants will not speak each others language. This research team should be commended for addressing this in a practical way, and should be encouraged to continue this work. 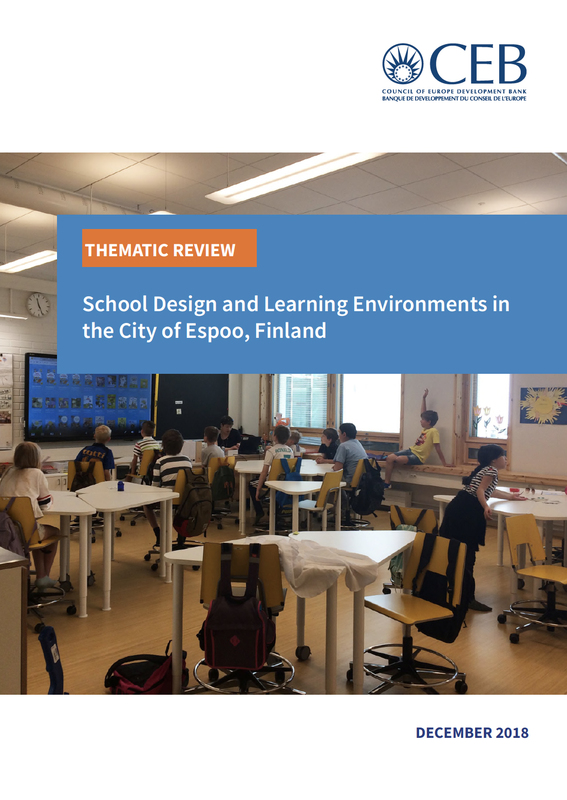 This particular research project was part of an annual initiative, the Mayfield Project, organised by CEFPI Australasia, an organisation that brings together educators, architects and researchers interested in creating better learning environments. My co-mentors on this project: Vicki Steer, the principal of Ravenswood School for Girls and Shayne Evans, architect at Stanton Dahl both brought quite different and valuable perspectives and crucially much experience to the project. 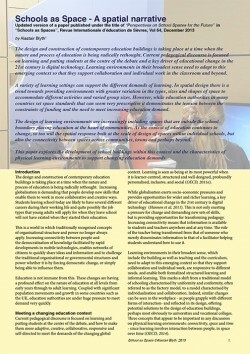 I mention all this, because it seems an admirable initiative for stimulating ‘action research’ in this area. Whether you are involved in developing a new kind of learning environment, or merely trying to make what you have got work better, how easy has it been communicating your ideas accurately with others? What ways do you find help get your point across? Daina Cunningham: Architectural Graduate – NBRS+PARTNERS; Pam Doherty: Architect – Billard Leece Partnership; Kenny Giblin: Primary Teacher – Marrickville P.S. ; Cathy Kubany: Architect – NSW Government Architects’ Office; Edward La: Science Teacher – Turramurra High School; Noam Raz: Architect – MAAP; Alison Sheil: Architect – Fulton Trotter Architects; Lyndall Smith: Architect – NSW Government Architects’ Office. The group facilitator was: Felicity Lewis from StudioGL. Sometimes language barriers exist even within professions! Depending on the school system, or tradition, or location, or structure, or for many other reasons, there might be significant differences in seemingly simple language. I think the key is to not try to understand everything but instead understand enough to maintain a positive and productive dialogue and knowing when to leave something to a specialist. 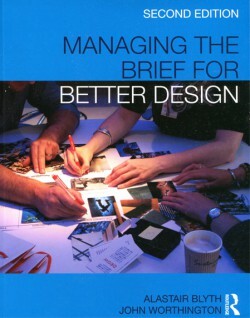 Architects do not need to engage the staff of a school pretending to be educators using all the jargon in all the right ways (the Principal can do that) but they do need to understand, say, the difference between “Home Room” and “Pastoral Care” or “AP” (Assistant Principal) and “AP’ (Access Point for wireless routers). So long as we enter dialogue with an open mind and open ears (not just open mouths) it can be an enlightening and exciting experience.